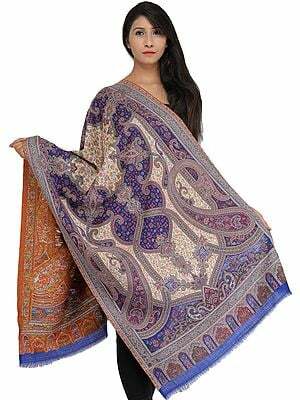 Jamawar is a very popular and special kind of shawl. 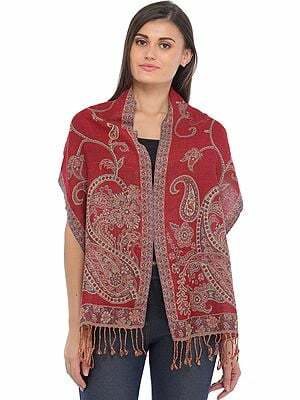 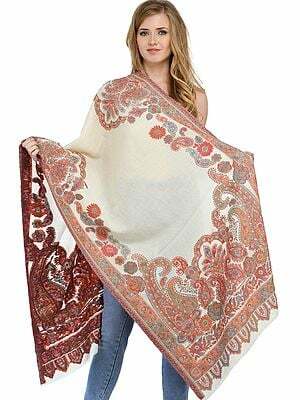 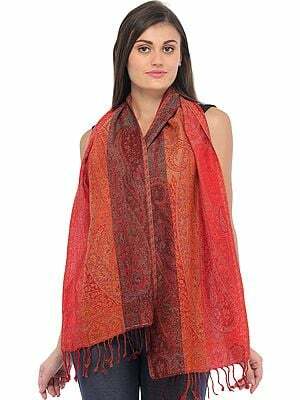 This beautiful shawl is usually designed and finished in Kashmir, India. 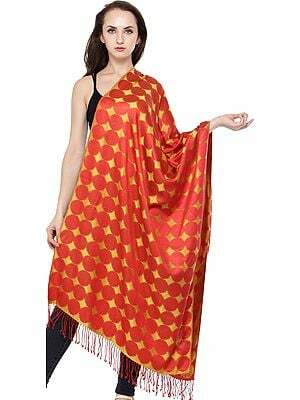 Jamawar is a combination of two words – “Jama” that stands for the robe that means loose outer garment and “War” or “Var”, which is used for chest and figurative body. 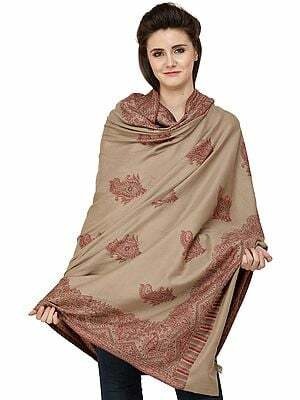 It means a Jamawar is a loose outer garment that is draped on the upper parts of the body, particularly by women. 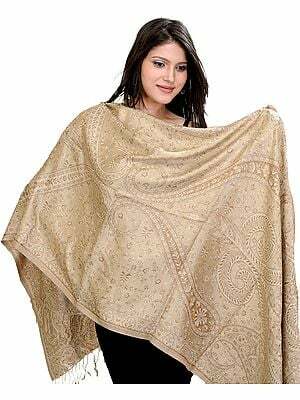 The best quality of Jamawar is designed with Pashmina and the brocade portion is woven in matching threads of silk or polyester. 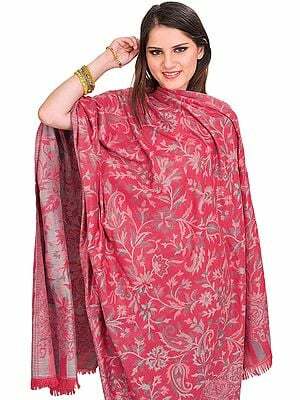 Floral pattern is the most common pattern that is always in demand. 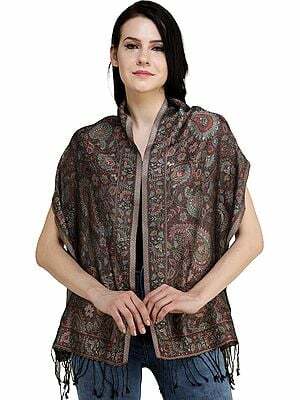 To complement its look and feel, kairy is used as the key motif. 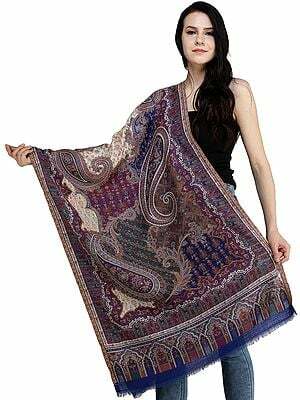 It is a handmade item that has great historical significance. 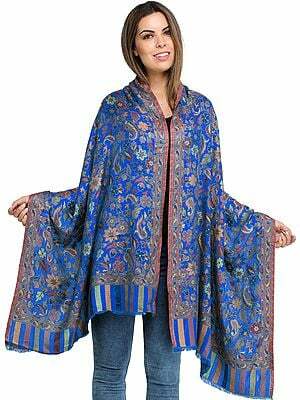 Some special shawls take a couple of decades to complete. 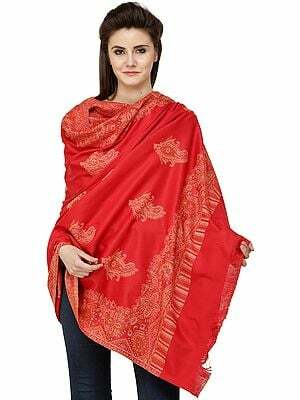 A classic kani shawl takes about three years to weave. 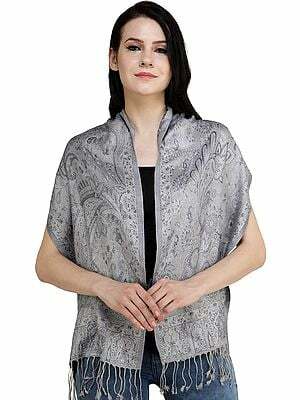 This shawl is designed and made with an authentic technique. 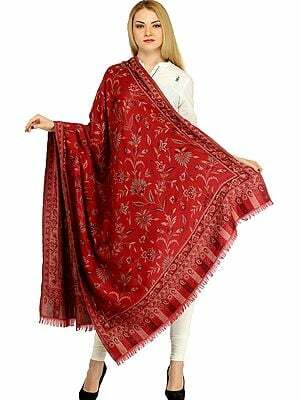 Weaving is particularly synchronized by a coded pattern, recognized as the Talim drawn by the Naqash for supervision of the weaver. 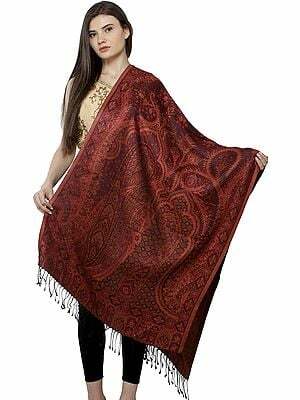 Original Jamawar shawls are always very expensive. 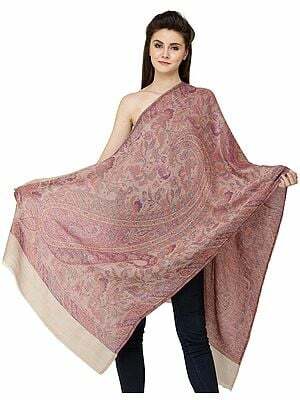 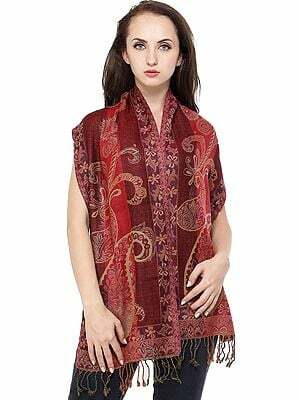 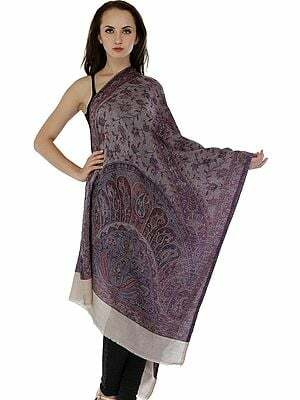 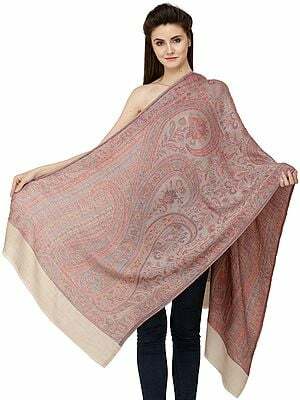 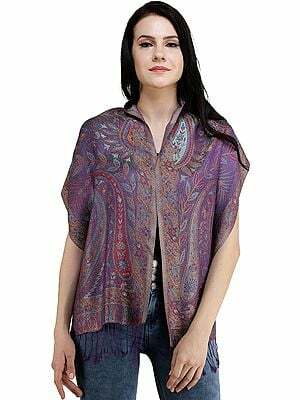 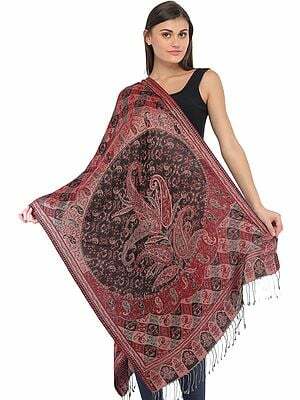 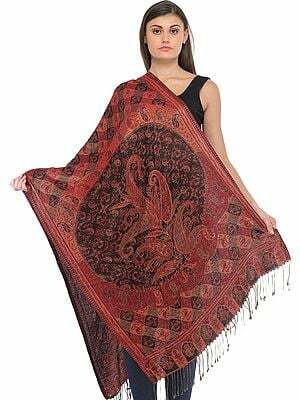 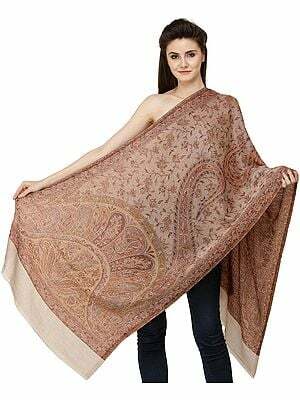 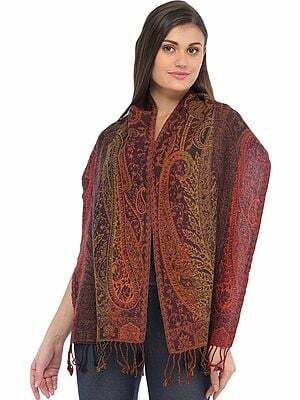 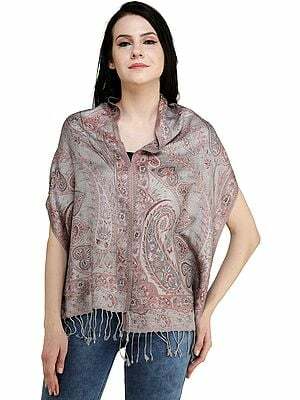 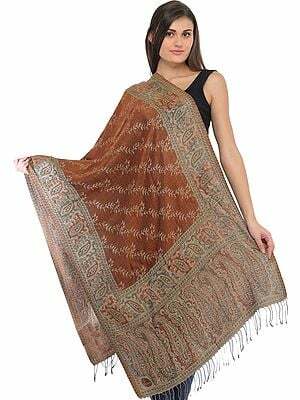 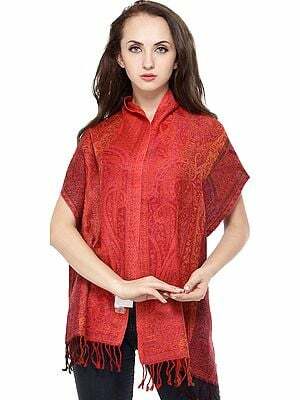 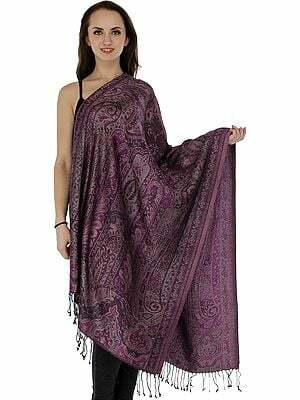 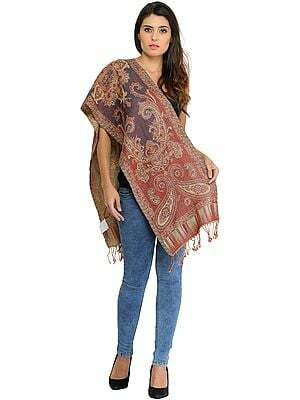 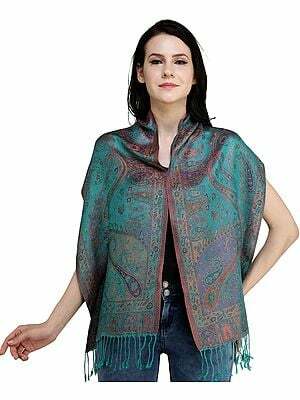 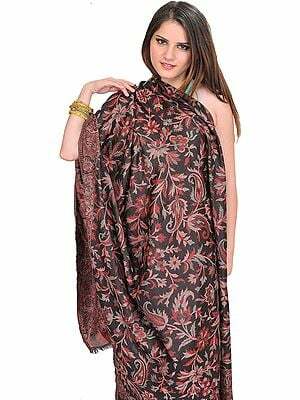 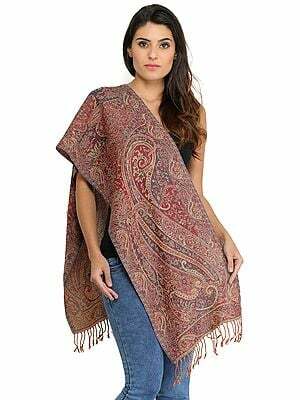 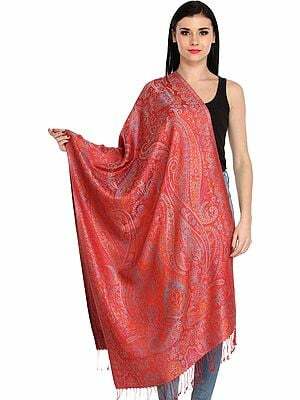 To make these shawls available at very competitive prices, nowadays, many companies offer machine-made Jamawar shawls. 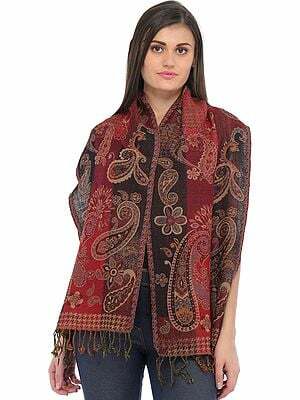 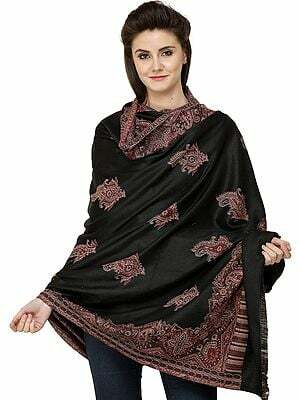 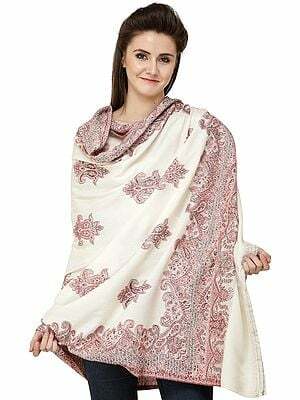 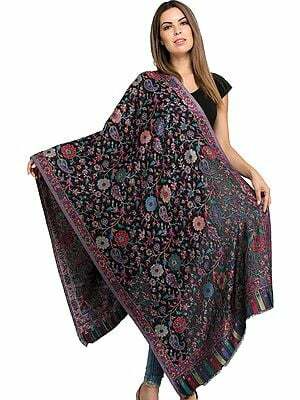 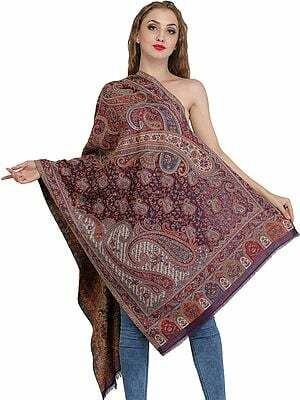 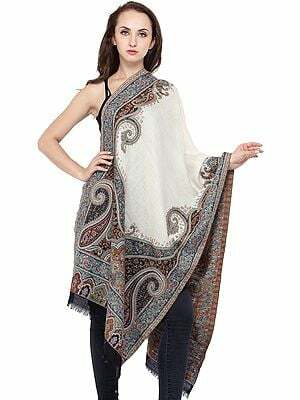 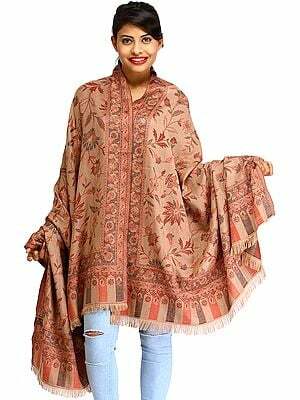 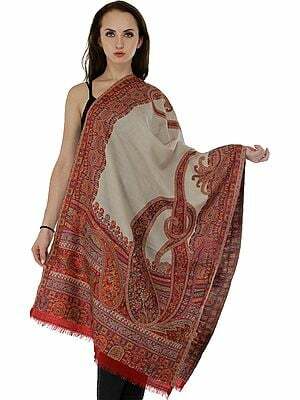 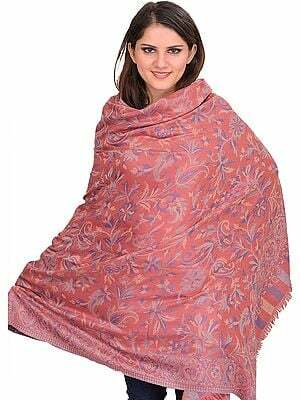 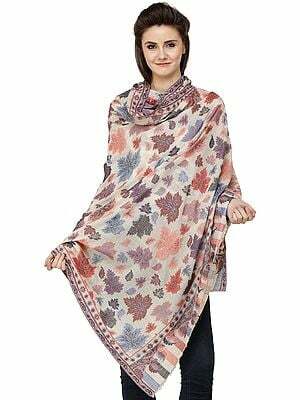 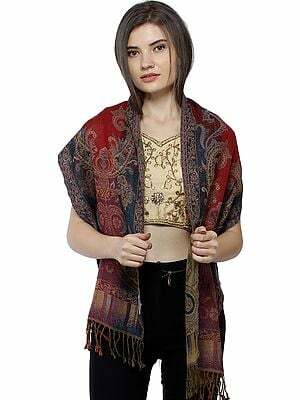 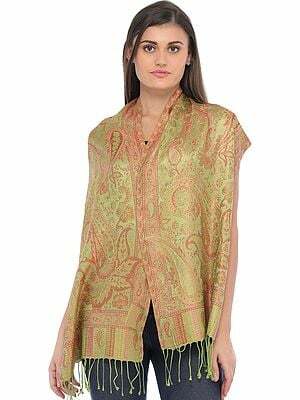 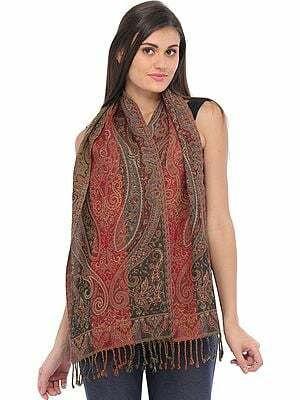 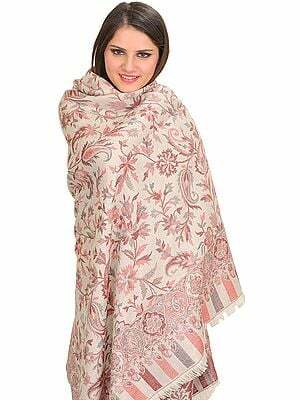 At present, Kashmir, Punjab, and some parts of Pakistan, are the major suppliers of these shawls in the market. 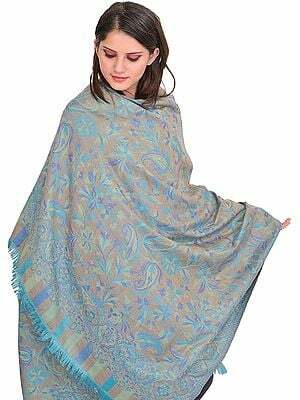 However, the handmade shawls are quite expensive. 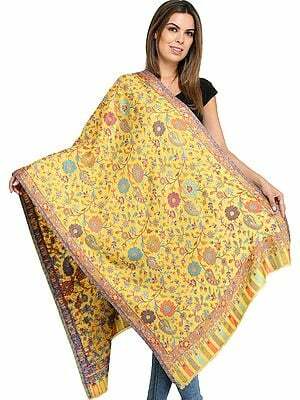 Recently, merchants introduced Chinese silk in India and now, it is gaining huge popularity all around. 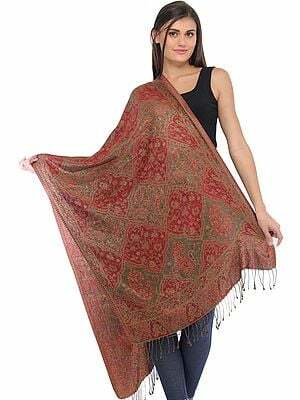 The jamavar technique was brought to Kashmir in the 15th Century when Zain-ul-Abdin was the king of the country. 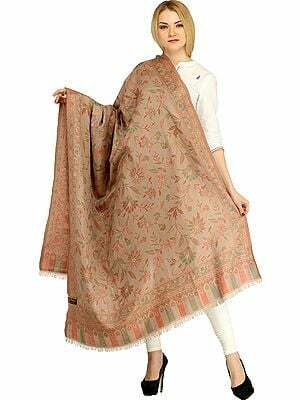 Patterns in these early jamavars were formed with weft threads of a variety of colors that did not run the complete measurement of the fabric. 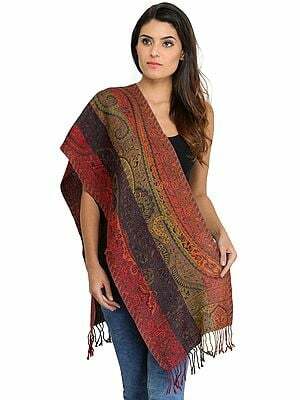 Rather, they were woven backward and forward at some portions to create beautiful, tiny blocks. 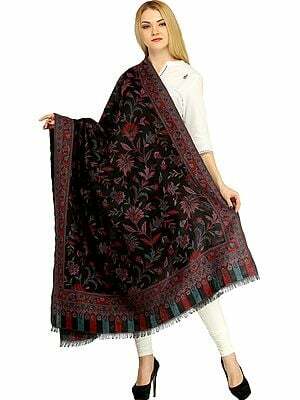 These jamavars became a trend with European aristocracy somewhere during the 18th Century. 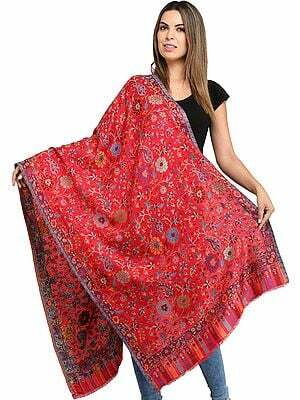 In ancient times, royal people wore the gowns and other outfits made with this fabric. 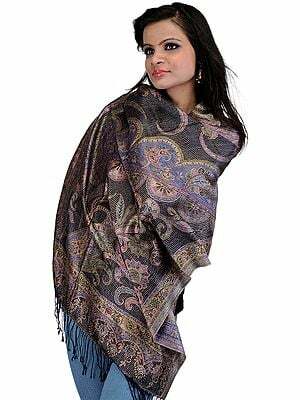 They also uses the fabric as shawl. 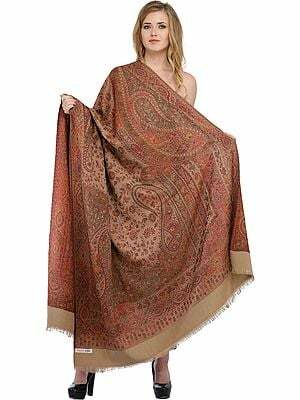 Earlier, the Jamawar weaving centers in India were developed to cater the needs of royal families. 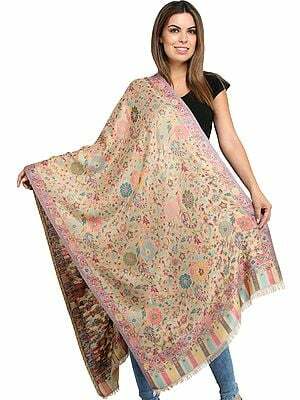 Nowadays, Jamawar weaving center in India is located in Kashmir and Punjab. 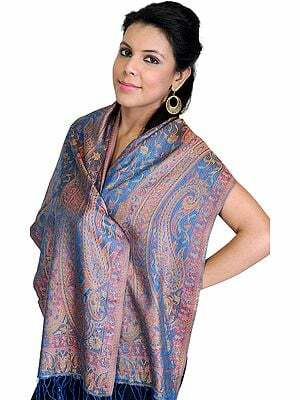 Jamawar shawls were most famous during the Mughal era. 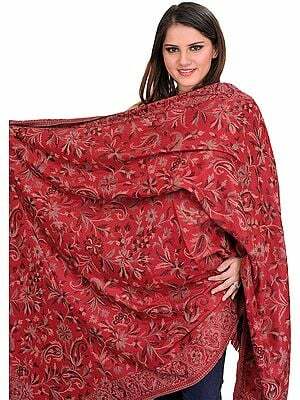 Emperor Akbar was a great admirer of this art and fabric. 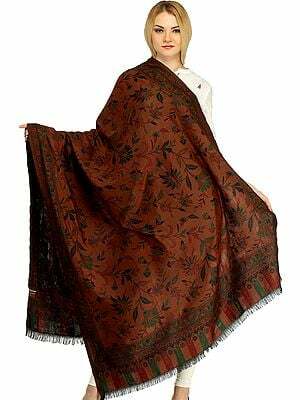 He brought many weavers from different places to India.